A German startup has successfully raised over $200,000 to crowdfund a self-charging electric car that uses integrated solar panels to supply power throughout the day. The funds for Sono Motors’ Scion car will be used to produce prototypes for trial runs and crash testing, with the first deliveries of the finished vehicle expected in 2018. The vehicle will come in two models: a $13,000 “Urban” version capable of traveling 75 miles on a single charge, and an $18,000 “Extender” version with a 155-mile range. 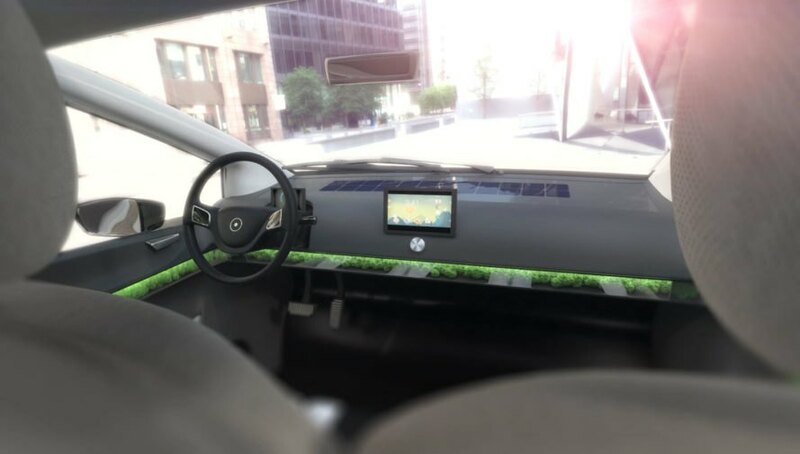 The vehicle features built in photovoltaic panels which can generate up to 18 miles of driving range per day, simply sitting outside in the sun. Of course, the vehicle can also be recharged the traditional way by being plugged into a standard household outlet. The interior of the car has some unusual features as well: for one thing, a particular species of Iceland moss is integrated into the fan to serve as a natural air filter. It requires no special upkeep or care because it draws the water it needs to grow from the surrounding air. It both filters dust particles from the air and even absorbs the noise of traffic nearby for a more relaxing ride. The Scion seats six, with the back seats able to fold down to create additional cargo space. The dashboard features an integrated ten-inch display which can be connected to any smartphone via Bluetooth or WiFi, allowing easy access to GPS, streaming music, and contacts. An optional towing hitch can be added to the back of the vehicle. While the crowdfunding campaign allowed interested customers to reserve full-day test drives and put down deposits on the cars, if you missed out on the campaign, don’t despair. You can still put down a refundable deposit for 500 Euros ($563) or place a preorder for 2,000 Euros (around $2,251). Now this is something that I could definitely get behind! I think a lot of my customers in Australia are going to be extremely excited to see something like this considering how much of our homes are already a part of the big solar movement - think of the money people will save! Car finance rates are going to be interesting if this product goes live! The Scion seats six, with the back seats able to fold down to create additional cargo space. The vehicle will come in two models: a $13,000 “Urban” version capable of traveling 75 miles on a single charge, and an $18,000 “Extender” version with a 155-mile range. 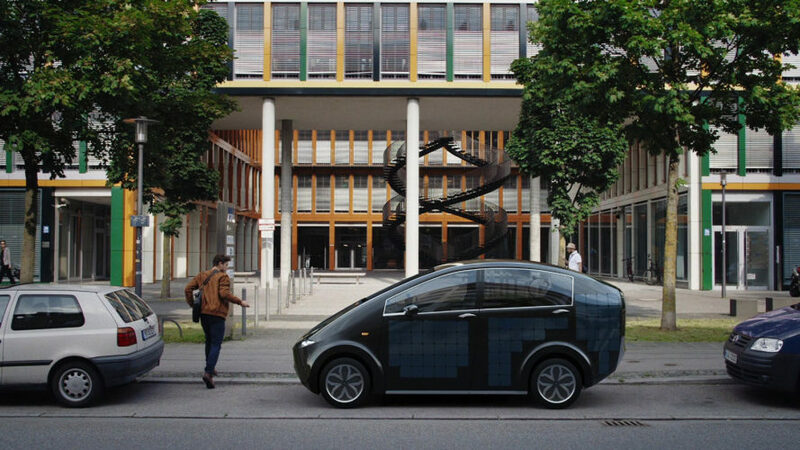 A German startup has successfully raised over $200,000 to crowdfund an innovative self-charging electric vehicle that uses integrated solar panels to supply power throughout the day. The interior of the car has some unusual features as well: for one thing, a particular species of Iceland moss is integrated into the fan to serve as a natural air filter.